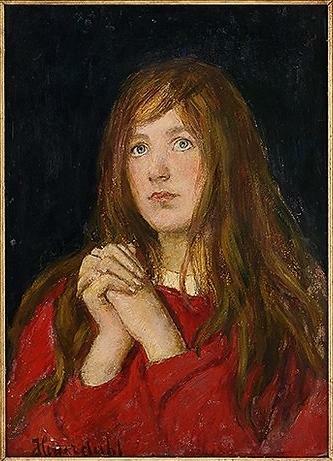 Praying Girl by Heyerdahl (photo credit: Wikimedia Commons). St. Francis de Sales is the master of the spiritual life for lay people. His book, Introduction to the Devout Life teaches us how we can grow closer to God while living out our lives as spouses or single people in the world. One of the practices St. Francis urges his readers to make a habit of is the morning offering. In fact he says, “Never omit this practice.” A morning offering sets the tone for your day. It helps you acknowledge that the day is God’s, not your own. It can give you the strength you need to face trials, peace amid busy schedules, and added grace for unforeseen temptations. I confess I was never taught to make my own morning offering as a child. We sometimes had family prayer in the morning. At Catholic elementary school we started the day with prayer. But no one told me I should make a private morning offering until I was much older. I found it hard to take up the practice, and even harder to maintain it over the long-term. If your schedule allows you to take a block of time for personal prayer (aka mental prayer) first thing in the morning, then you are covering two bases at once. Parents of young children, like me, often have to pray later in the day. We should then make a separate morning offering. We should always start the day with our minds fixed on God. “Dear God, now that I start the day, I offer you my heart and pray, Guide me in everything I do, And keep me always close to you. Amen.” I found that prayer in the Catholic Children’s Treasure Box series. We open our homeschool with it daily. I start my own day by invoking the intercession of angels and saints I am devoted to, including St. Michael, the patrons of our family members, and our guardian angels. Then I offer my day to Mary. I ask her to help me imitate her in pondering God’s Word throughout the day. I might name a few special intentions. The whole process takes only a minute or two. Starting your day with the Lord is very simple. It need not be intimidating. Once you have made it a habit, you will wonder how you lived without it for so long. Share with us: How do you make your morning offering? Connie Rossini gives whole families practical help to grow in holiness. She is the author of Trusting God with St. Therese and the free ebook Five Lessons from the Carmelite Saints That Will Change Your Life. 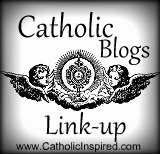 She writes a spirituality column for The Prairie Catholic of the Diocese of New Ulm, Minnesota, and blogs at Contemplative Homeschool. She is also a columnist for SpiritualDirection.com. Her posts have appeared on Catholic Lane and elsewhere. 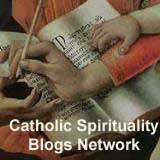 She administers the Catholic Spirituality Blogs Network and owns the Google+ Community Indie Catholic Authors. Connie and her husband Dan have four young sons. This entry was posted in Prayer and tagged Apostleship of Prayer, Francis de Sales, homeschool, Litany, Morning offering, Saints. Bookmark the permalink. 5 Responses to Are you making a daily morning offering? We prayed the morning offering you mentioned above every morning at grade school. I can almost recite it word for word. Do you mean the one from the Apostleship of Prayer? My dh says that one too. I never learned it until recently. At school, we did the Angel of God Prayer every morning. I don’t remember a specific prayer as a morning offering. These are great ideas Connie. I’m usually in such a rush in the morning (I have to be out the door at 5:35) that it’s tough. But God is on my mind in the morning as I shower and get ready. If I can just discipline myself to phrase a simple morning offering, it would fit right in. I’ll try to give it a try. Please do. I feel much less like a heathen now that I have made this a habit. 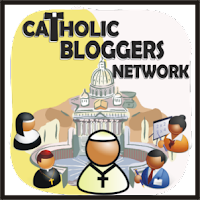 I'm Connie Rossini, and I'm a Catholic homeschool mom, blogger, and author of Five Lessons from the Carmelite Saints That Will Change Your Life. I believe the best way to keep our kids Catholic and to educate them in the faith is modeling prayer and virtue for them. 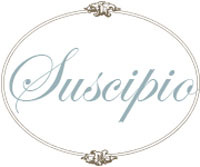 I write from a Carmelite perspective.